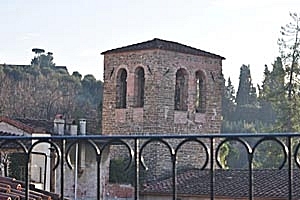 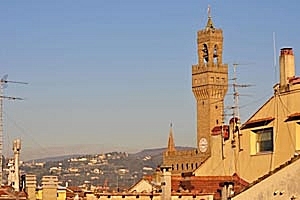 Palazzo Vecchio and Arnolfo`s tower, Brunelleschi`s dome and Giotto`s bell tower: that is the breathtaking view guests can enjoy from the panoramic balcony accessed through a winding staircase from the living-room balcony of the elegant apartment in Florence historic centre. 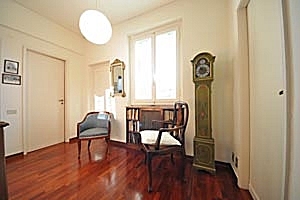 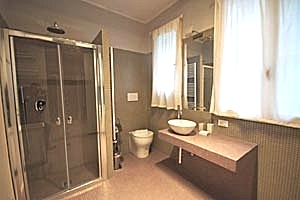 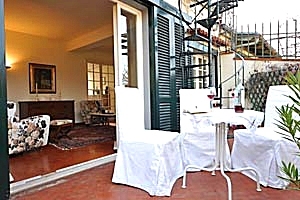 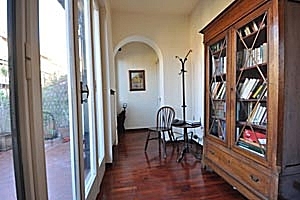 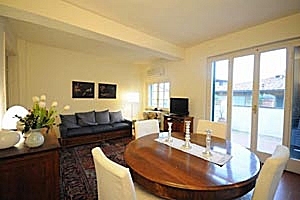 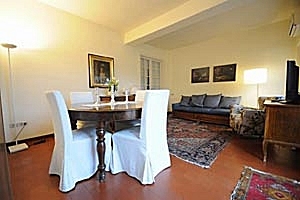 The apartment is on the fifth floor of a building with lift situated in one of the narrow streets of Oltrarno, the picturesque district with the workshops of the most important Florentine craftsmen that Vasco Pratolini described in his novels. 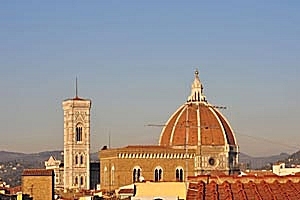 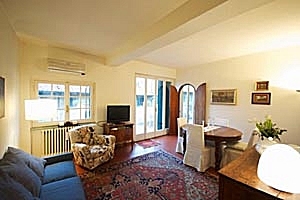 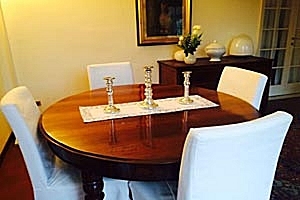 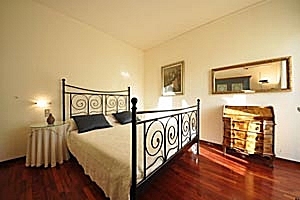 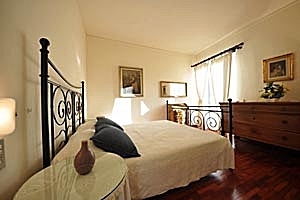 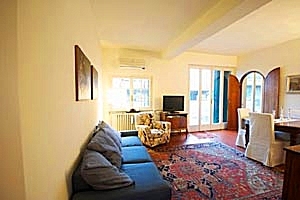 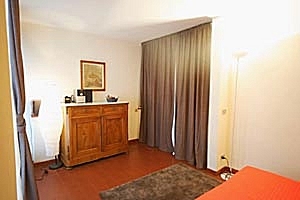 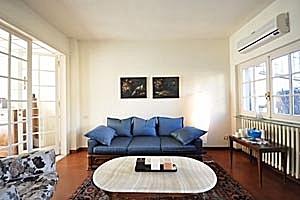 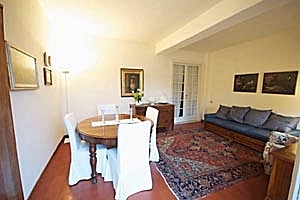 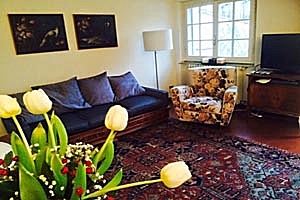 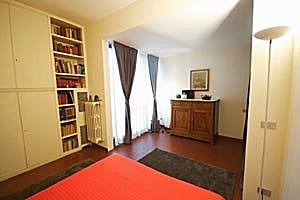 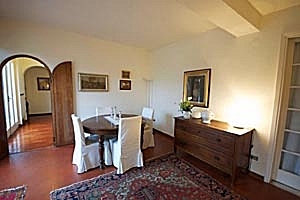 Staying at the apartment, guests will have the opportunity to visit the Pitti Palace and Boboli Gardens, the church of Santa Maria del Carmine and the famous Brancacci chapel frescoed by Masaccio, the church of Santo Spirito and all the most important Florentine monuments. 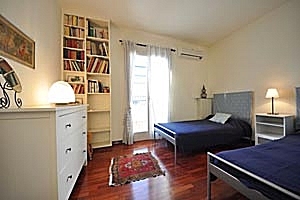 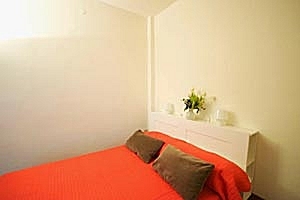 The bright apartment composes of kitchen, living room with dining area, two double bedrooms, one twin bedroom and two bathrooms and can accommodate 6 guests. 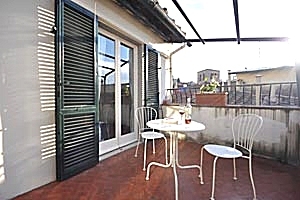 The apartment has three balconies. 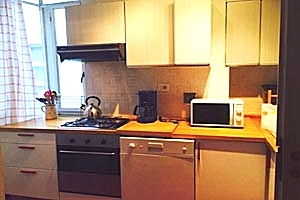 The apartment comes with Internet connection, air conditioning, TV set, electric oven, gas cooker, fridge, freezer, toaster, American-style coffee maker, dishwasher, washing machine, ironing set, hairdryer and cot bed. 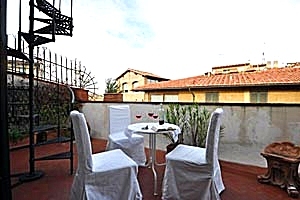 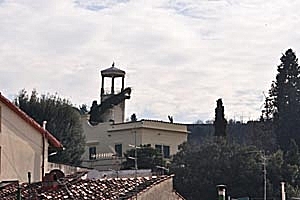 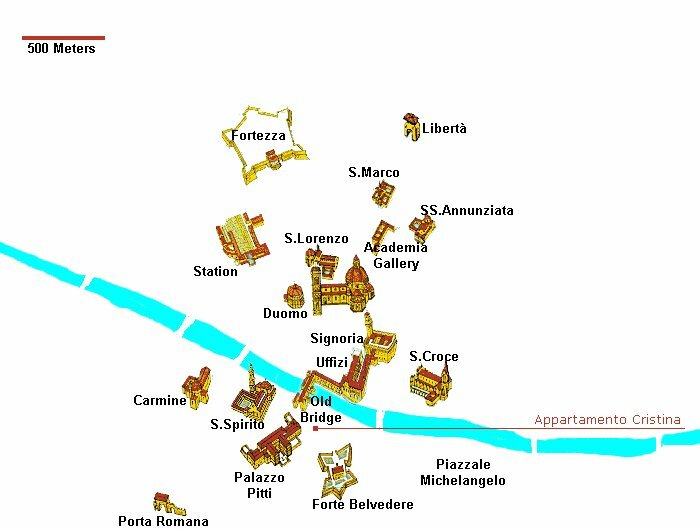 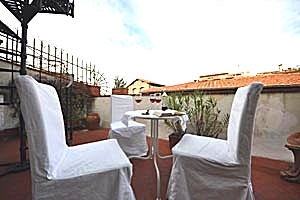 Shops and services of any kind are within easy walking distance, as well as the street market in Piazza Santo Spirito and Piazza del Carmine.